Interview with Justine Curtis Inspired Adventures CEO. “He led me around the corner to a tiny apartment and we went in the room and before me was a tiny, very elderly man and he was surrounded by so much light, you just felt his energy. (I’ve met his holiness Dalai Lama before and it was a similar feeling).” Justine Curtis. Met with a Tibetan buddhist monk in India, (tick). Raised $14 million for charity, (tick). 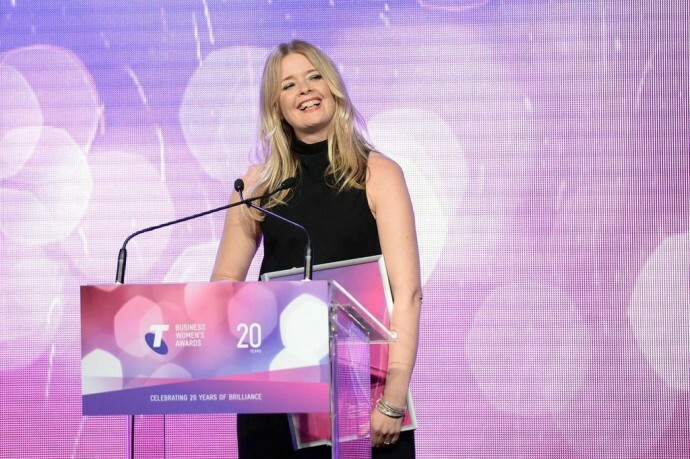 Received a Telstra Women’s Business Award, (tick). Justine Curtis may have a lot of ticks to her name, but the founder and CEO of Inspired Adventures also has a sharp focus on what’s really important. Her company runs challenging adventures around the world to raise funds for charities. A big-hearted idea which came to her after summiting Mount Kilimanjaro. 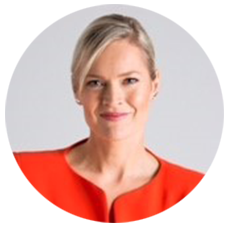 Martine Harte: You founded inspired adventures in 2004 after a chance meeting with a former Tibetan political prisoner Palden Gyatso, sounds like the plot of a great book Justine. Justine Curtis: (laughs) It certainly would make a great book I think one day. So back in 2001 I’d taken a year out, I’d been working with a direct marketing agency working with I.T companies helping them expand their bottom line. I wanted to take a year off to spend the majority of time in India. I was travelling up to Northern India to do some voluntary work with Tibetan refugees. I was travelling on a train and I picked up a book which was an incredible story called, ‘Fire under the snow’ by Palden Gyatso. Palden was imprisoned in 1959 when the Chinese invaded Tibet – for thirty-three years – he was tortured daily, electrocuted, had all his teeth knocked out – and his crime was his commitment to the Dalai Lama. This man was just incredible, he had compassion for his captors, he was unwavering in his commitment to Buddhism. Eventually his captors helped him escape; so I think all those years of compassion came to fruition. He was helped to escape into Nepal and into India and by then Palden had become an Amnesty International prisoner of conscience. I nearly fell off my chair! He led me around the corner to a tiny apartment and we went in the room and before me was a tiny, very elderly man and he was surrounded by so much light, you just felt his energy. (I’ve met his holiness Dalai Lama before and it was a similar feeling). His smile was just amazing, he filled you with so much love and light. He was wonderful, he didn’t speak English but his nephew translated. I had another meeting with him (I went back a second time) and I’d just done a ten day silent meditation course around the world, I really connected with Buddhism and equanimity. With that advice I had a bit of an epiphany to use my marketing skills to get into fundraising, came back and got a job in a fundraising agency helping charities with direct mail campaigns. Was that when you set the goal to give yourself three months to raise the funds to summit Mt Kilimanjaro? Justine Curtis: I came up with the idea to raise $30,000 within three months and summit Kilimanjaro, I don’t know where that came from and within 12 weeks I was on top of Mt Kilimanjaro! It wasn’t pretty getting to the top. I hadn’t really trained, I wasn’t very fit, but I did it. It was minus eighteen degrees on summit night, we started trekking at 11pm and you get to the top at about 7am, that’s five days getting to the top and two days down. So then I decided to return to Australia and to create it into a business model Inspired Adventures. On my first trek, I recruited twenty people and we raised 55,000 dollars – the youngest was 15, the oldest was 70 – and we had an amazing time trekking in the Himalayan mountains. Do you naturally possess a lot of energy? Justine Curtis: I do possess a lot of energy, I think I’m very innovative and visionary. Like Paldon I’m very much a ‘never give up’ person. When I have an idea, I want to see it come to fruition. But you know, I was a single mum for four years, I left my partner when my daughter was one and a half about five years ago so I managed to juggle a small toddler and the business through a big growth phase, but I’m so passionate about what I do. The team I have here are so passionate and so professional. It must have been incredibly tricky during that phase, are you gentle on yourself? 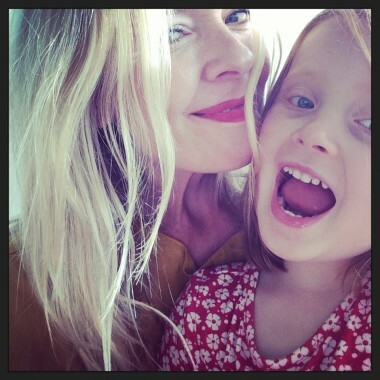 Justine Curtis: I am gentle, I generally don’t work too much in the evenings or weekends, I dedicate that time to my daughter. She’s at her father’s house five nights per fortnight and I like to maximise my time with her. I make sure I do plenty of pilates and yoga and every three or four months I have a week off. I know from my interviews that everybody has a stand out moment which does almost derail them, can you share yours? But I could see the potential of what I was creating. I was courageous and I was determined to create a new home, create a new life, I felt that by having integrity in my life things would start to flow and they did. You know what I’m noticing? I’m noticing that you are owning your positive attributes. I think that is terrific. Justine Curtis: Yes and no. We are hitting our ten year anniversary and I’m starting to realise what I’ve achieved. I think it’s really important to be like that because we create our world through our words. I would say to myself, ‘you’re magnificent and strong’ and that would get me through the next fifteen minutes, that was for about 12 hours. It is about being able to live your vision and be true, when you are everything flows and everything works in your life. Thank you so much for your insights Justine, hope to see you at the National Awards, Martine. Do you know an inspirational woman? Posted in Career insights, Elevate your voice, Engaging Voices, Interviews Engaging Women. Tagged in Telstra Women's Business Awards.